MOSCOW, September 1. /TASS/. Moscow is confident that yesterday’s clashes in Kiev would not have happened if the European Union and United States had called on Kiev to fulfill its commitments, Russian Foreign Minister Sergey Lavrov told students and lecturers of the International State Institute of International Relations (MGIMO) on Tuesday. "We are for Minsk-2 to be implemented in its full volume, without any kind of omissions or tricks," Lavrov said. "We are ready to help in this matter and are doing everything possible so that Donetsk and Luhansk, despite Kiev’s absolutely arrogant position, remain at the negotiations table and stay committed to the Minsk agreements, the main aim of which is to preserve Ukraine’s integrity while securing the rights of people on these territories," he added. "We understand all political difficulties, opinions voiced in the Verkhovna Rada, including that other regions of Ukraine deserve more authority. 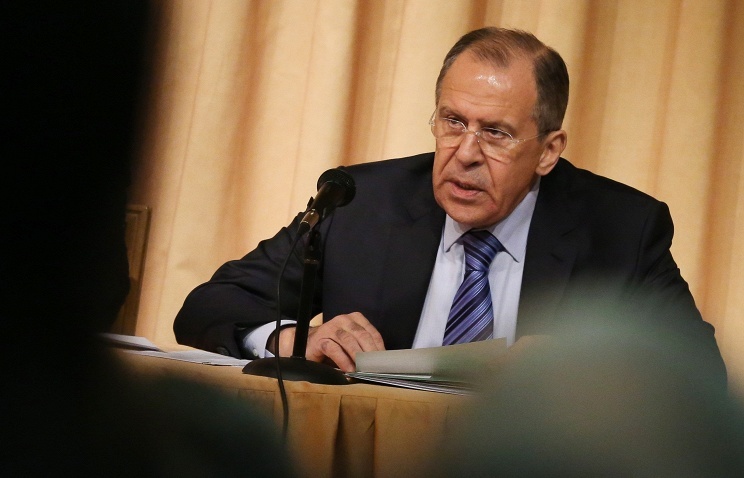 However, all this is a matter of political negotiations," Lavrov said. Russia is "ready to help as much as it can, we have rather good relations with separate Ukrainian regions," he continued. "Other countries have great relations with Kiev, with different political forces in the Verkhovna Rada," he added. "I am convinced that nothing like yesterday’s events would have happened and the Minsk agreements would have been implemented if Western countries who have a decisive influence on official Kiev gathered all political forces and strongly recommended them [Kiev authorities] to act in accordance with what was agreed upon," the foreign minister concluded.